Real estate investor Maureen Wiener usually goes it alone when buying, renovating, and reselling homes in northern New Jersey. But for her next project, a three-bedroom, half-century-old ranch house that needs updates to the kitchen and bathrooms, she’s teaming up with a partner—someone who will invest cash and do a big chunk of the work. More and more small real estate investors such as Wiener are working with partners these days—and often, multiple ones. As prices have rebounded from their lows during the housing crash, some investors find they need to pool funds with friends, relatives, or others to be able to afford their next flip or rental property. While they’re sharing the eventual rewards, they’re also sharing the risks—all the better if a project goes belly up, a flip doesn’t sell as anticipated, or a tenant doesn’t pay rent. And, just maybe, with a partner or two onboard, they can avoid borrowing from a bank altogether. 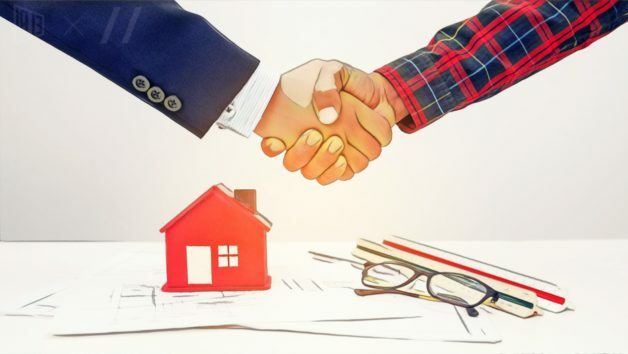 Partnerships are especially common for real estate investors who want to keep and rent out their properties. That’s because financing is harder to come by for rentals than for house flips, says David Hicks, co-president of Dallas-based HomeVestors of America (the company known for its “We Buy Ugly Houses” franchises). That’s especially true when investors go for larger, more expensive, two- to four-family properties, he says. As the economy continues to improve, home prices continue to rise. And that makes flipping a higher-risk prospect. But that hasn’t slowed down investors eager to cash in. “People are more confident in the housing market,” says Daren Blomquist, senior vice president of communications at ATTOM Data Solutions, an Irvine, CA–based real estate data company. And with the financial crisis fading from recent memory, they’re less worried about another housing crash. About two-thirds of the nation’s single-family rentals are held by mom-and-pop investors who own just a property or two, according to ATTOM Data. In terms of sales, investors purchased about one in five single-family homes in 2016, according to the National Association of Realtors®. The investors’ share of the market has been steady since 2013, though it rose as high as 27% in 2011 after the housing market crashed and home prices fell sharply. Now that the market has rebounded, those investors are paying more, and taking out bigger loans, for their properties. Hence the need for collaborators. Prices for investment properties jumped 25% from 2014 to 2016, according to NAR’s recent survey of buyers. The median price of an investment property in 2016 was $155,000 nationwide. Money isn’t the only reason to find a partner. Scott Trench, who has been investing in Denver real estate since 2014, bought two duplexes by himself. But he recently teamed up with a friend to buy a four-unit building. Sure, he wanted to split the higher cost of the larger building, but he also wanted to share the maintenance work with his friend. He says maintenance, such as dealing with repairs, at the rental properties takes several hours a month. “I trust his judgment,” says Trench, who is also vice president of operations for BiggerPockets, a website devoted to real estate investing. John Warren, a real estate broker and investor in Chicago, is also cashing in on his new partner’s skills. Warren started out investing on his own in 2015, buying a four-unit building. But he teamed up with an accountant he met at a BiggerPockets meetup, and in 2016 they invested in two multifamily properties—one in a Chicago suburb and the other in South Bend, IN. Warren says he couldn’t have afforded both rental properties on his own. But, more important, his real estate background dovetails with his partner’s financial and business skills. His partner helped him look at the venture in a more businesslike way, suggesting that they hire contractors—and write off the cost—rather than spending time on DIY chores. Plus, he can now go on vacation and know someone’s watching over the investments. It can also be easier to get financing from a business partner than a traditional bank. April and Justin Crossley of Crossley Properties, home flippers in Berks County in Pennsylvania, have always relied on borrowing privately since they began investing in real estate in 2004. Crossley Properties invests in distressed properties, but many banks balk at lending on homes in lousy shape. And private lenders can act more quickly than banks. That’s crucial for their company, because they often buy homes from sellers who are in a hurry because of financial or other problems. Moreover, banks have considerably tightened their lending standards since the financial crisis, making it tougher for would-be real estate moguls to borrow the money they need. Plus, they’re less likely to be understanding about a missed payment if a tenant all of a sudden skips town or stops paying rent. These partners typically make about 10% interest on their investment when the homes are sold, she says. Real estate flippers or investors who work in higher-priced markets, Crossley says, often rely on multiple private lenders just to afford the properties. Still, partnerships aren’t for everyone. Many investors want to make all the decisions on how much to spend, what to buy, and even which tile or paint color to use. And it’s all fun and games while everyone’s making money, but relationships can be strained if the investment doesn’t pay off as planned. “A lot of people don’t understand the full risks and rewards of a partnership,” says Dennis Cisterna of Investability Solutions in Denver. The company provides services for investors in single-family rentals across the country. Think about it: Do you want to tell your in-laws that they’re about to lose their shirts in the investment you brought to them?